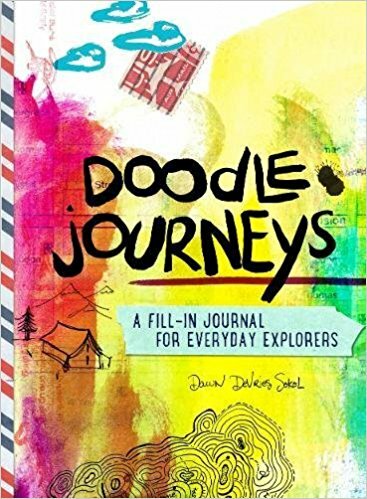 An interactive guidebook that focuses on traveling and exploration through doodling, journaling, and collage. Overflowing with colorful pages, this journal will encourage kids to document their travels. Travel for kids often means sitting in a plane, train, or car with an iPad on their laps—head down, headphones on, watching a movie or playing a mind-numbing game. In Doodle Journeys, an interactive guidebook, Dawn creates prompts that inspire children to pick up their head and look outside the window. They are challenged to imagine where they are going, what they might see. They are also dared to envision worlds that don’t exist. The book will offer suggestions of marking tools (showing a TSA-approved artist kit), ways to adhere photos, and tips for how to document with doodles. Young explorers will use prompts on pages overflowing with colorful, vibrant backgrounds to encourage them to note and document what’s around them. Throughout the book are travel-inspired doodles and quotes. Just like the previous Doodle books, Doodle Journeys will inspire tweens to put down their screens and put pen to paper. Children will enjoy the chance to give their creativity free reign as they travel! 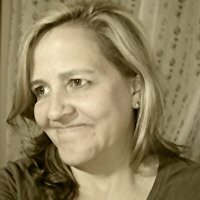 About the Author: Dawn DeVries Sokol is the author of several doodling books, including Doodle Diary, Doodle Zen, Art to Start Doodling: A Sketchbook, Year of the Doodle, Art Doodle Love, The Doodle Circle, A World of Artist Journal Pages, and Doodle Sketchbook. She also has authored and illustrated 3 board books (Good Dog; Here, Kitty, Kitty! ; and Leapin’ Lizards). Often referred to as the “Doodle Queen,” she teaches popular workshops through her blog (dawnsokol.com), at Interweave Press’s CREATE Mixed Media Retreat, on Creativebug.com, and through her DVD workshop Art Journaling: Pages in Stages.